Home > Vol 21, No 2 (2018) >	. This study aims to find success factors for succession in family-based MSMEs in MSMEs in Surabaya, Indonesia, where Surabaya is a metropolitan city that allows entrepreneurs to develop and be sustainable for the next generation of family businesses. The research method used is factor analysis which is an analysis technique that forms the latent variables that have not been determined before the analysis, the results of anilisation will find any factors that influence the success of succession in MSMEs. Sample in this study amounted to 100 MSMEs of family businesses that could be met in Surabaya or incidental sampling, while respondents in this study were second generation family business owners. The method of data collection is a survey with a questionnaire instrument that has been tested for validity and reliability. The data analysis technique used is the Principal Component Analysis Factor Analysis with SPSS software. The results of this study found that six factors that determine the success of succession in MSMEs in the city of Surabaya are succession preparation procedures, successor characteristics, readiness of previous generations, communication in the succession process, relationships between family members, and introduction to the business environment. This research is expected to provide references on the sustainability of family business to the next generation in the city of Surabaya, East Java, Indonesia. Aronoff, Craig E., McClure, Stephen L and Ward, John L. 2003. Family Business Succession. Family Business Enterprise. 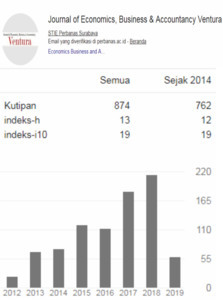 Biro Pusat Statistik Sensus Ekonomi. 2006. BPS. Barach, J.A. and Gantisky, J.B. 1995. Successful succession in family business. Family Business Review 8: 131–155. Barnes, L. B., and Hershon, S. A. 1989. Transferring power in the family business. Harvard Business Review 54(4) 105-114. Cabrera-Suarez, K., De Saa-Perez, P., and Garcia-Almeida, D. 2001. The succession process from a resource and knowledge-based view of the family firm. Family Business Review 14(1) 37-47. Chrisman, J. J., Chua, J. H., and Sharma, P. 1998. Important attributes of successors in family businesses: An exploratory study. Family Business Review 11(1) 19-34. Chua, J. H., Chrisman, J. J., and Steier, L. P. 2003. Extending the theoretical horizons of family business research. Entrepreneurship Theory and Practice 27(4) 331-338. De Vries, K. 2011. The hedgehog effect: The secrets of building high performance teams. John Wiley and Sons. Dyck, B., Mauws, M., Starke, F. A., and Mischke, G. A. 2002. Passing the baton: The importance of sequence, timing, technique and communication in executive succession. Journal of Business Venturing 17 143-162. Donnelly, Robert G. 2002. The Family Business. Eddleston, K. A. 2008. The prequel to family firm culture and stewardship: The leadership perspective of the founder. Entrepreneurship Theory & Practice 32(6): 1055-1061. Jones, A. 2003. Family Business. Family Business Review 17(4) 506. Goldberg, S. D. 1996. Research note: Effective successors in family-owned business: Significant elements. 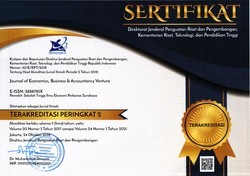 Family Business Review 9(2) 185-197. Groh, A. and Wich, M. 2009. A Composite Measure to Determine a Host Country’s Attractiveness for FDI. University of Navarra. Barcelona. Hair, J.F. 2006. Multivariate Data Analysis. Edisi 5. Gramedia Pustaka Utama. Jakarta. Hair, J.F., et al. 2006. Multivariate Data Analysis Pearson International. Edition 6. New Jersey. Hair, J.F., et.al. 2010. Multivariate Data Analysis. Edition 7. New Jersey: Pearson. Handler, W. C. 1990. Succession in family firms: A mutual role adjustment between entrepreneur and next-generation family members. Entrepreneurship Theory and Practice 15(1), 37-51. Handler, W. C. 1994. Succession in family business: A review of the research. Family Business Review 7(2) 133-157. Kelly, L. M., Athanassiou, N., and Crittenden, W. F. 2000. Founder centrality and strategic behavior in the family-owned firm. Entrepreneurship Theory and Practice 24(4) 27-42. Miller, D., Le Breton-Miller, I., and Scholnick, B. 2008.